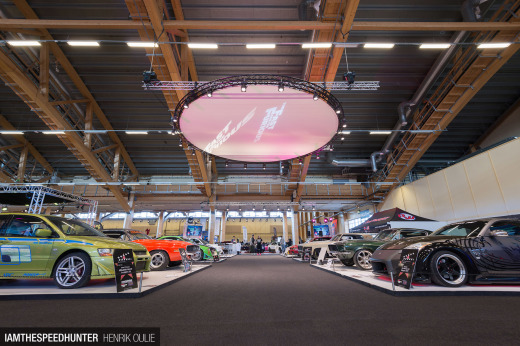 Having the time and money to see a project through to completion is one thing, but it’s the vision behind it – whether it be set in stone from the very outset, or evolved during the build – that more than often sets good cars apart from truly great cars. 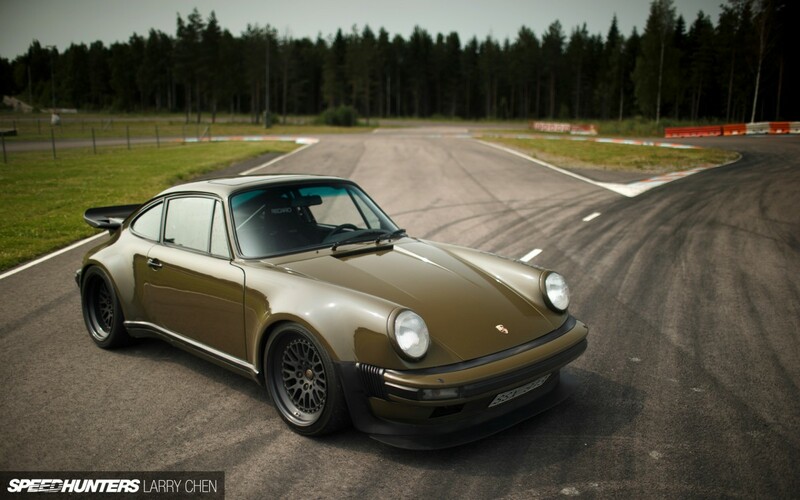 Krister ‘Sibbe’ Svahn’s 1980 Porsche 930 Turbo from Sweden is one of the latter. 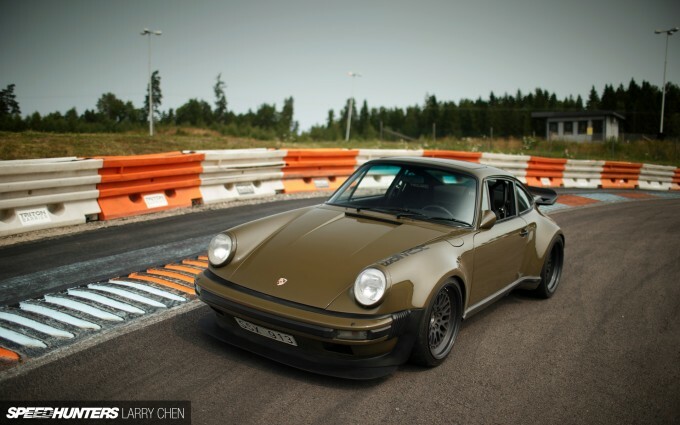 As one of the most desirable 911 variants from the last 50 years, finding an immaculate 930 to include in our theme this month was never going to be a hard ask, but Krister’s car – a machine we got to spend some quality time with at Eskilstuna Motorstadion a couple of months ago – is so much more. It’s not the first Porsche that Krister has ever owned – that car was a ’71 911T updated with ‘73 RS style and performance. It is however, the car he knew would make for an ultimate, streetable, classic track toy – once less weight, more power and better handling were factored into the equation. 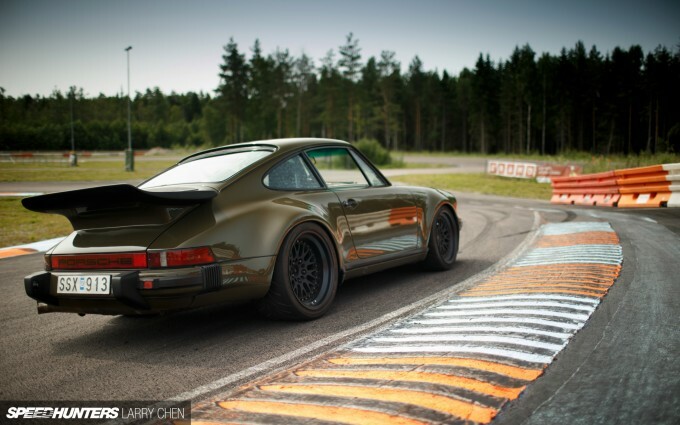 The 930 Turbo was one of those models that really only came about because of a will to go racing. For Porsche to capitalise on the turbo technology it had developed for its 917/30 Can-Am car in the 911, it needed to homologate a road car with the right specification. 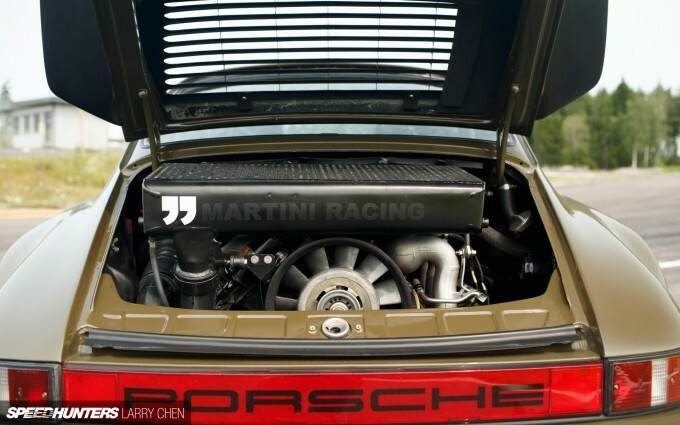 In 1975, initally using a turbocharged variant of the 3.0 litre flat-six from the Carrera RS 3.0, the internally coded 930, but outwardly-badged Turbo was the result. With those sorts of credentials behind it, it’s little wonder the 930 Turbo quickly became a performance icon, and why, ever since, people like Krister have been so keen to get their hands on one. 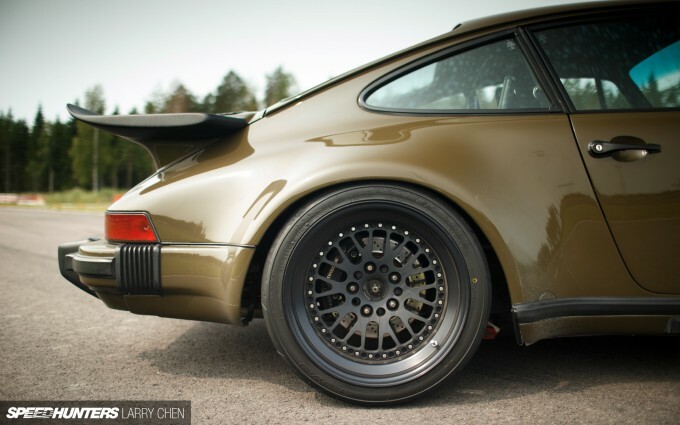 When Krister first purchased the car in 2007 its flat-six engine had just been treated to a full factory-spec rebuild, and besides the Porsche ‘Group B’ camshafts that have since been added, and 993 head studs added previously, it remains that way today. There are plans to develop the engine further in the future, but for now there’s little point as it’s hardly breaking a sweat. 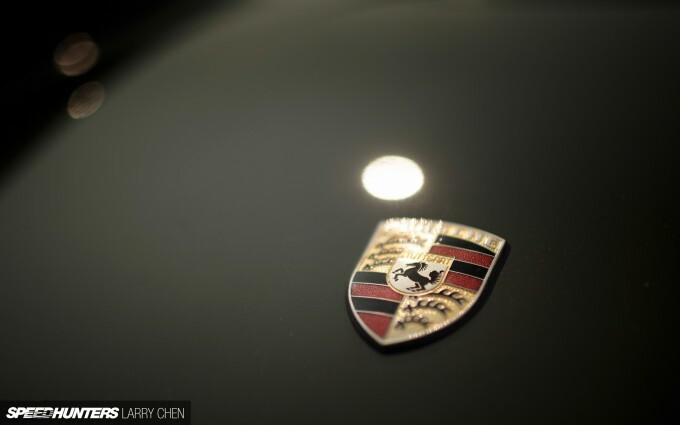 The rebuilt engine still maintains with 3.3-litre capacity, but utilizing a number of specifically selected upgrade parts – both aftermarket, and from the Porsche parts bins – the flat-six develops more power, and more importantly considering it’s still backed-up by its original 930 four-speed gearbox – a broad delivery of torque across the rev range. 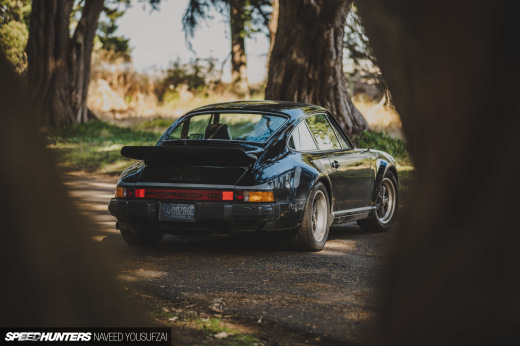 Now says Krister, the engine sees full boost at a lowly 2,800rpm in fourth gear, as compared to 3,800rpm or thereabouts in a stock 930 Turbo of this vintage. What it has benefited from are a bevy of upgraded intake and exhaust system components, including an entirely overhauled turbo system built around a KKK/BorgWarner K27-7200 – a popular upgrade for the 930’s factory KKK 3LDZ unit, offering quicker spool and improved flow characteristics. There’s a custom-fabricated stainless steel manifold, a Precision 46mm wastegate is employed for boost control, and to cool the intake charge, a modified full-bay Garretson intercooler with far greater volumetric efficiency than the small-by-comparison original item it’s replaced. The Autronic SM3 engine management system that’s mounted on the floor behind the driver’s seat is a pretty hint that the engine has been rid of its factory CIS mechanical fuel injection. In its place is a full Carrera 3.2 electronic arrangement, think: intake manifold, throttle body, throttle position sensor , plus the fuel rails and bigger Siemens 875cc injectors. 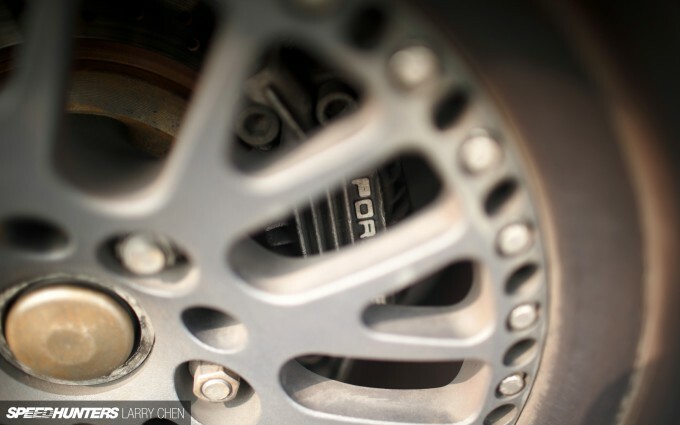 It’s an easy upgrade, and by utilizing proper Porsche gear means a factory-like fit. Krister tells me that the 3.2 manifold is much better suited for performance applications and even features 41mm diameter intake runners – coincidently the same size as the intake ports in Porsche’s 935 race cars. In other words, there’s plenty of scope here for future engine upgrades. A Stack digital wide-band lambda meter is used, providing real-time feedback to the Autronic for optimum tuning across a broad air/fuel ratio range. All told, the engine package is producing a reliable 430hp at its regular 1.0bar (14psi) track setting, and 470hp with a little more boost if required. Although, as I mentioned earlier, the main goal was to improve torque, it’s a considerable improvement over the 300hp the 930 was blessed with straight off the Stuttgart production line 33 years ago. To match the increase in output the rest of the driveline has come under the spotlight too. There’s a KEP ‘Stage 1′ pressure plate and RS friction plate to contain the extra load, and a ZF limited slip differential to get the power and torque to the ground effectively. At least out of the corners and on the straightaways anyway. In standard form the 930 Turbo’s handling prowess has always preceded it. That’s not to say that these cars can’t be driven fast, because they absolutely can. But a certain amount of skill, concentration and most critically – timing – must be applied to have any hope of extracting the very best out of the chassis, without causing hazard to your health. The main problems stem from boost delivery, which like so many turbo cars of the era, were crudely adapted from race engines and had two modes: on or off. Feeling the full force of the KKK compressor mid-corner, or even worse – mid-corner on a slippery surface– requires bravery, and a little luck. 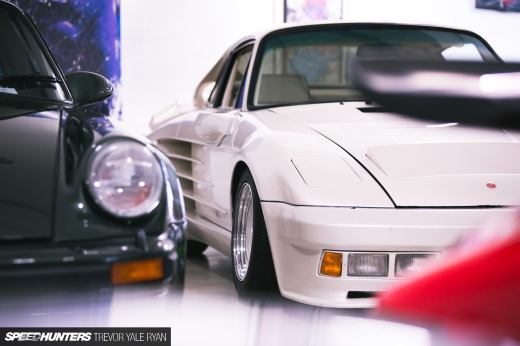 Krister’s been able to tune out a little of the 930’s suicidal tendencies with a far progressive turbocharger and a bunch of well thought out suspension and chassis tweaks. 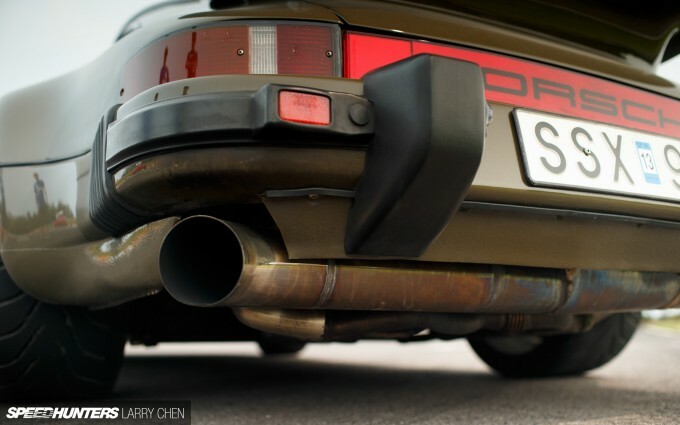 Squatting on Bilstein RSR/Sportliche Strasse dampers with Elephant Racing torsion bars the Porsche has a purposeful stance. There’s an Elephant Racing 22mm sway bar at the the front and a Tarett adjustable unit in the rear, as well as upgraded monoballs, performance bushes and an added bump-steer reduction kit all working in harmony. Of course, the Porsche still does this when provoked, intentionally or otherwise. 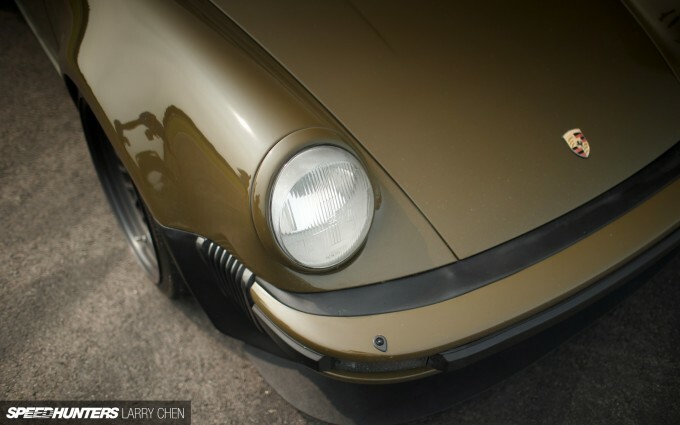 Krister believes the car is as demanding as any other performance classic without basic driver assistance gear like power steering and ABS when you’re driving it hard, but at the limit in the 930, full attention needs to be channelled towards the rear end and what it might be thinking about doing. On semi-slicks, catching the tail when it tries to overtake the front end requires a sixth sense. Unlike many 930 owners that learnt the hard way, given its well cared for bodywork, Krister obviously knows how to drive his 930. The Nato-Olive (Gelb-Oliv) respray was actually the first upgrade the car received after being flat-decked to the body shop the very same day he picked it up. It’s a very cool colour and one that’s complimented by a set of custom CCW Classic rims with a satin black finish. It’s match made in heaven stuff, don’t you think? The perfectly-fitted forged wheels measure up at 18×9-inch on the front end and 18×11-inch at the rear, with Toyo Proxes R888 R-type rubber all around. 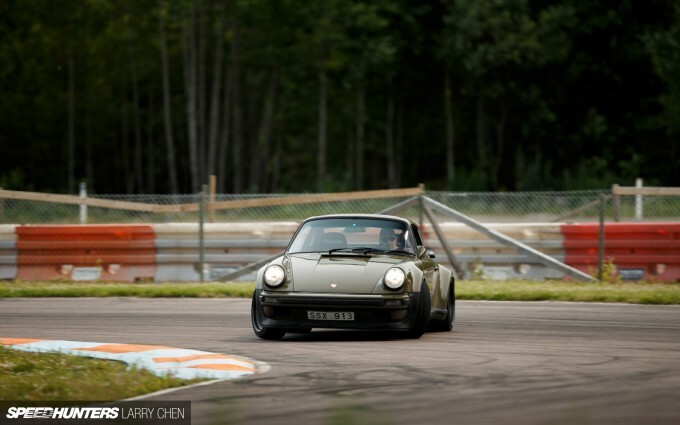 In my mind Krister has struck a beautiful balance with the way the 930 looks. Apart from the wheels, only a 935 racing mirror on the driver’s door and a custom designed and built carbon/Kevlar rear lid and wing combination have found their way onto the car. There’s enough personalisation going on that you know the car’s not stock, but not so much that it detracts from its original factory-fattened proportions. 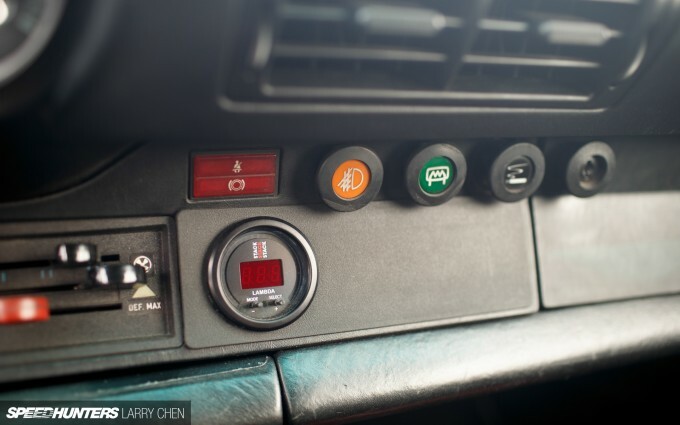 The same can be said for the interior space, where a clean yet purposeful approach has been taken, but not at the expense of messing with the car’s original aesthetics. 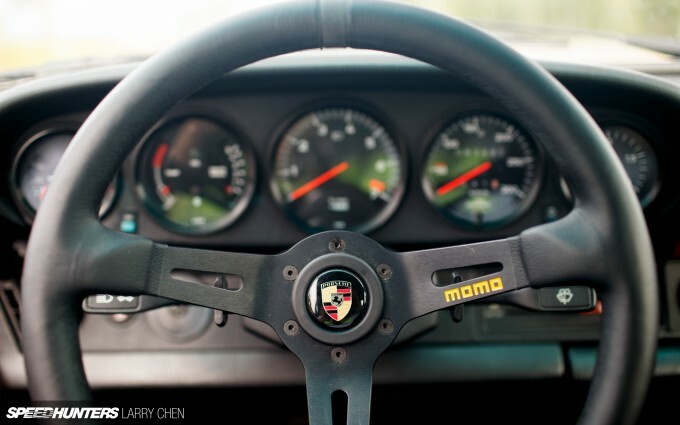 The three-spoke Momo MOD.08 steering wheel for instance, has a classic dished design, yet provides Krister with a modern, ergonomic connection to the car, complete with a Snap Off quick release. 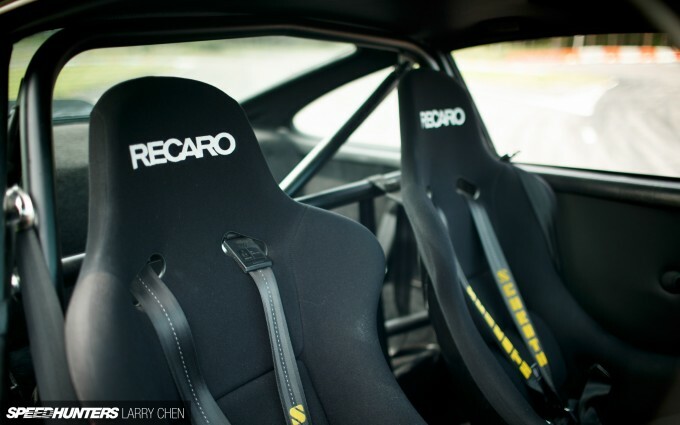 It’s hard to go wrong with a pair of Recaro Pole Position seats either. 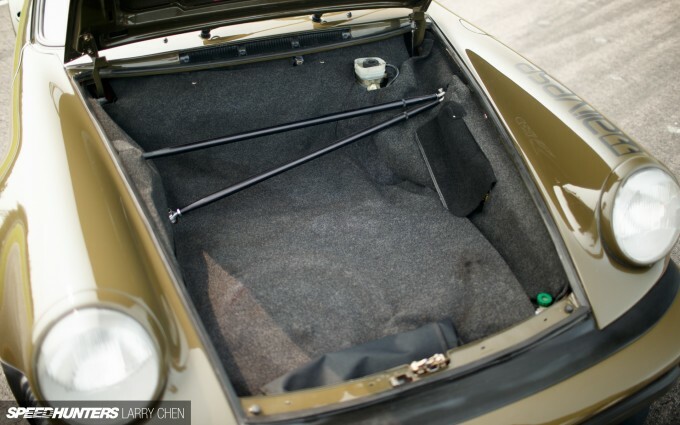 Along with the Schroth harnesses and Heigo half-cage with a belt bar, the cockpit also features lightweight RS door panels, and matching RS carpet. 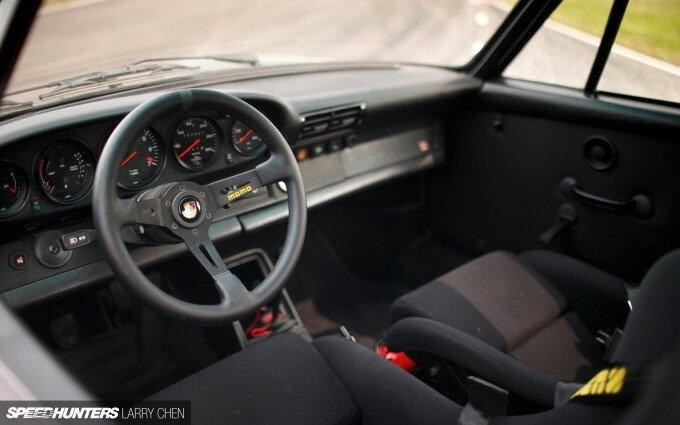 This is a street-legal, race-ready, Porsche 930 cockpit done right. I think biggest triumph of all though, is the way that all the aftermarket and upgraded parts have come together as one cohesive package. To his credit, Krister has undertaken the vast majority of the work himself too. In fact, only the paint work and a transmission rebuild were farmed out to trade professionals. Although he’s reluctant to make any drastic changes to the car given the way it currently performs, Krister hasn’t resigned himself from more future upgrades either. When the time comes to rebuild the engine he’ll probably do so with 935 flame rings to handle higher boost pressure, and ARP rod bolts to handle post-7,000rpm rev runs. With suitable head porting, 650 to 750 horsepower should be totally achievable. A set of fully adjustable Öhlins or Intrax dampers and a few subtle carbon/Kevlar accents are also on Krister’s wish list. Turbokraft, Elephant Racing, Perrys Motor, and Kricke for the final tune. Special thanks to Kocken, Maccan and Pentell from Alive.se. I love street car builds for this reason. Thank you for providing inspiration. That is a beautiful Porsche! I have a 911 turbo and would love to get it serviced and upgraded sometime. It would be awesome if I could get some performance enhancement and make it a bit faster. Thanks for the inspiration.